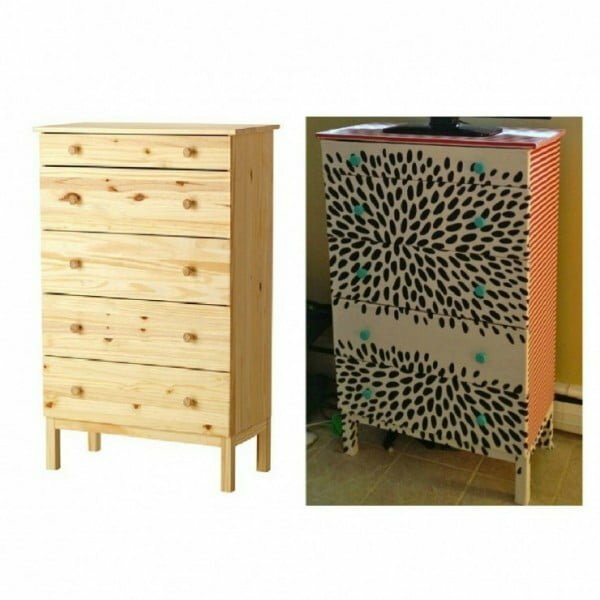 Want to build a DIY dresser for the bedroom or makeover an old piece? These 34 ideas with tutorials and plans will help you. 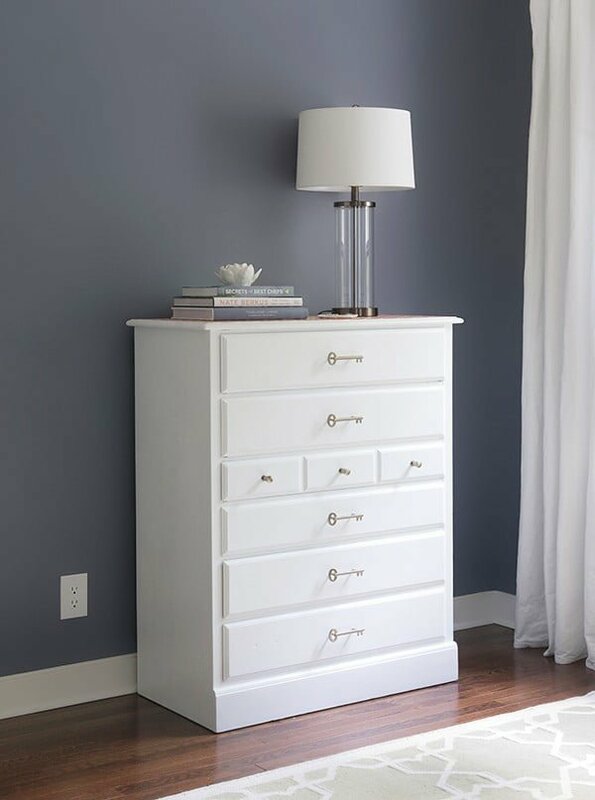 A dresser with drawers is an excellent piece of furniture for the bedroom. 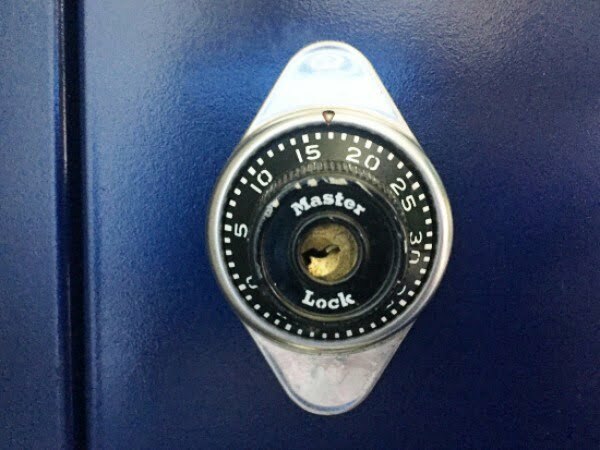 It adds to the decor, and it provides hidden storage for your clothes and other items. But the price tag on them in stores can be hefty. That’s where we DIYers win by making our own thing. 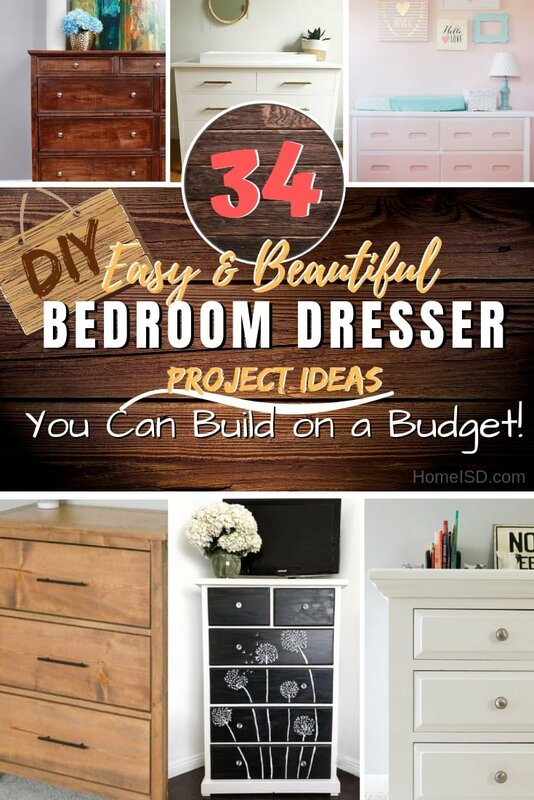 Check out these 34 brilliant ideas for DIY dressers (both, pieces from scratch and makeover ideas) for tons of inspiration. Building a dresser is simpler than you think. 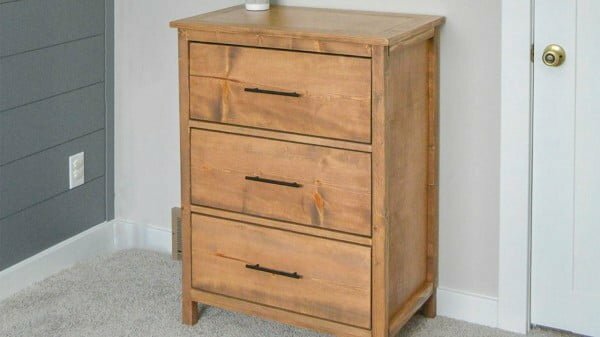 These DIY dresser plans are perfect for a beginner woodworker. Check out the tutorial to see the complete details. 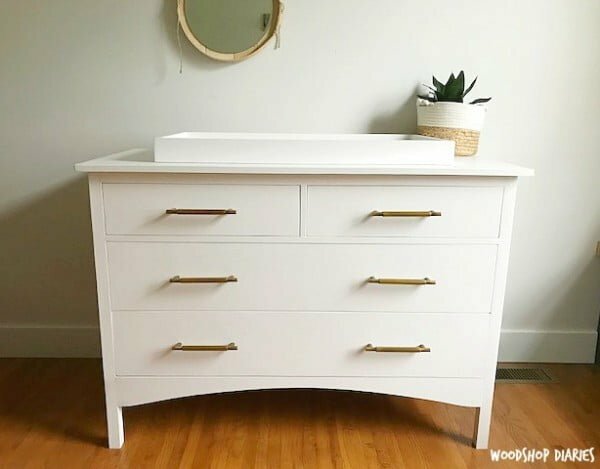 Learn how to build a DIY 9-drawer dresser with free design plans and a step-by-step tutorial by Jen Woodhouse of The House of Wood. Check out the link for the complete plans and instructions. This squiggly update makes us very happy. See the article to see the comprehensive plans and instructions. 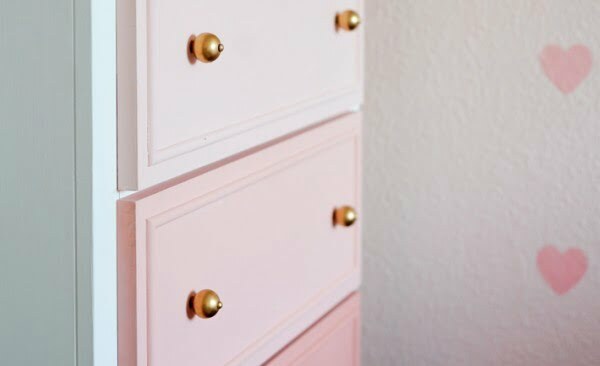 A look at this DIY dresser makeover and how a coat of paint and some new hardware can make a dresser look completely different. Follow the tutorial for the entire guidance. Part of setting up a new room makeover has excellent furniture. But like most people you probably don’t want to spend a lot of money. That is where an excellent dresser makeover can help. You can get a great unique look, for a fraction of the price. Follow the link to find out how to do it. 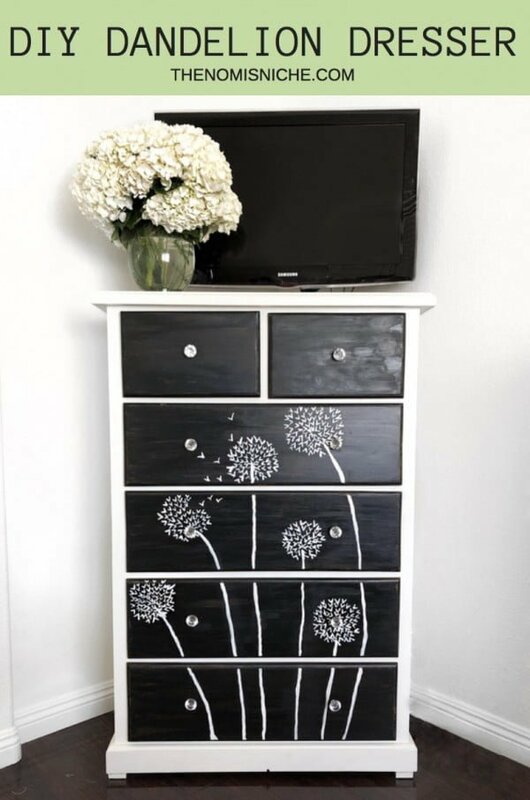 This is a terrific DIY dandelion dresser on a budget. Read the article to see the full guidance and instructions. 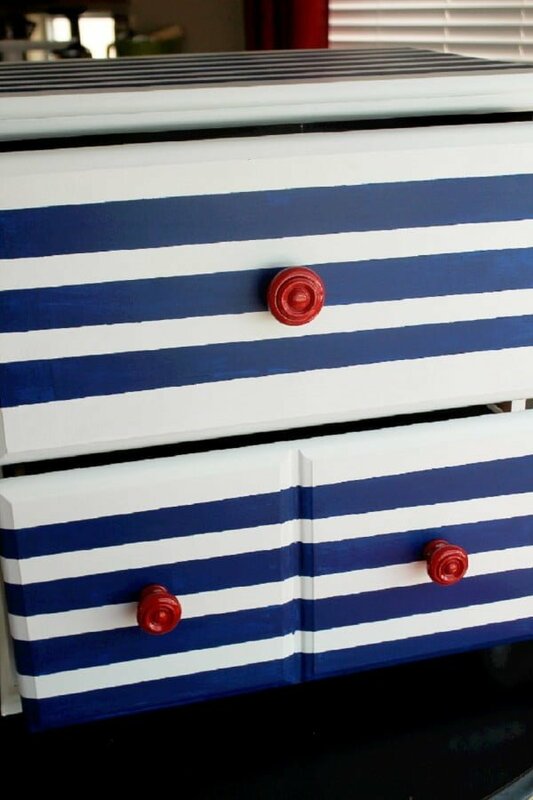 This is a fun DIY striped dresser you can recreate the easy way. Check out the article to learn how it’s done. How to take a Craigslist find from drab to fab. Read this website to learn how it’s done. Create a dresser out of an old locker for this football themed room. Read this website for the complete plans. 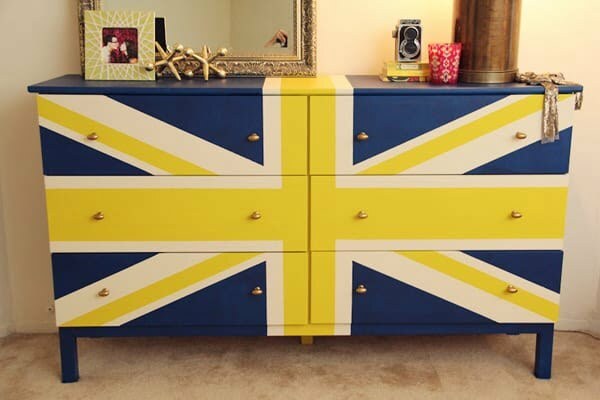 What an awesome DIY union jack dresser for a budget home project with a little personality. Follow the link to see how to do it. 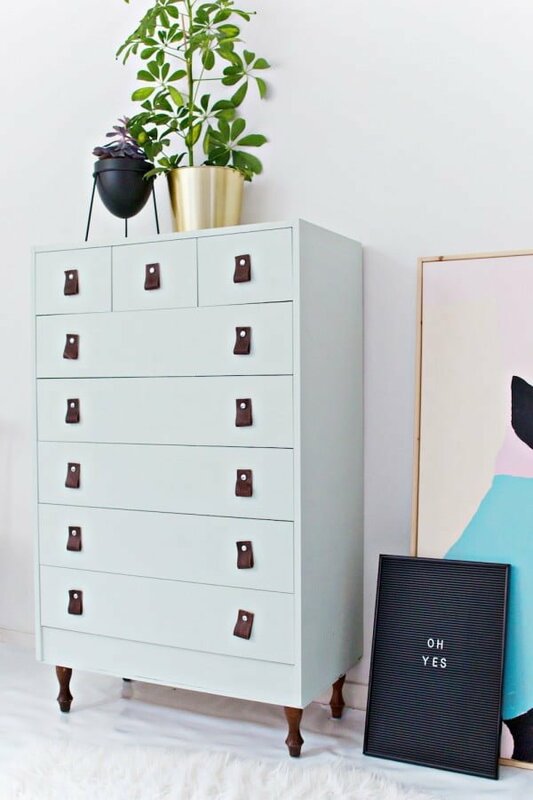 This easy to build, simple, modern style DIY dresser can serve as gorgeous and spacious storage for any bedroom. But with a simple add on, would make an adorable changing table, too. 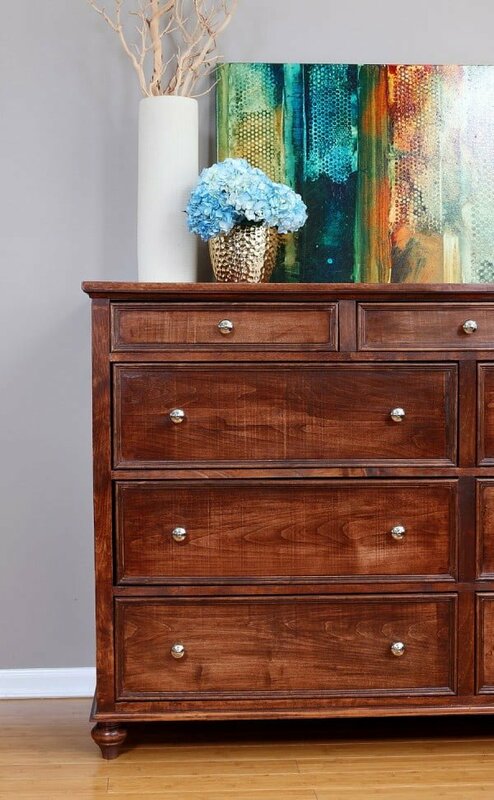 Boasting extra large storage drawers, this dresser can pack away the clothes without taking up all your floor space. Check out this website to learn how to do it. 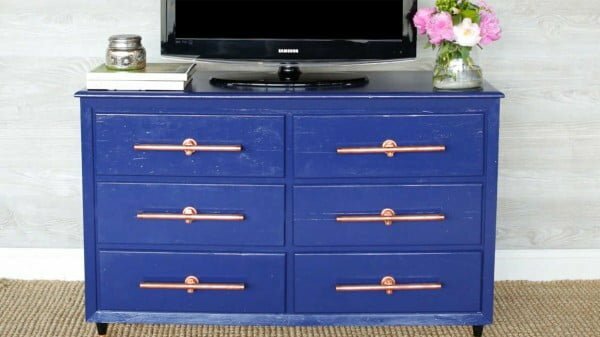 What a terrific DIY ombre dresser for a straightforward home project. See the article to learn how to do it. 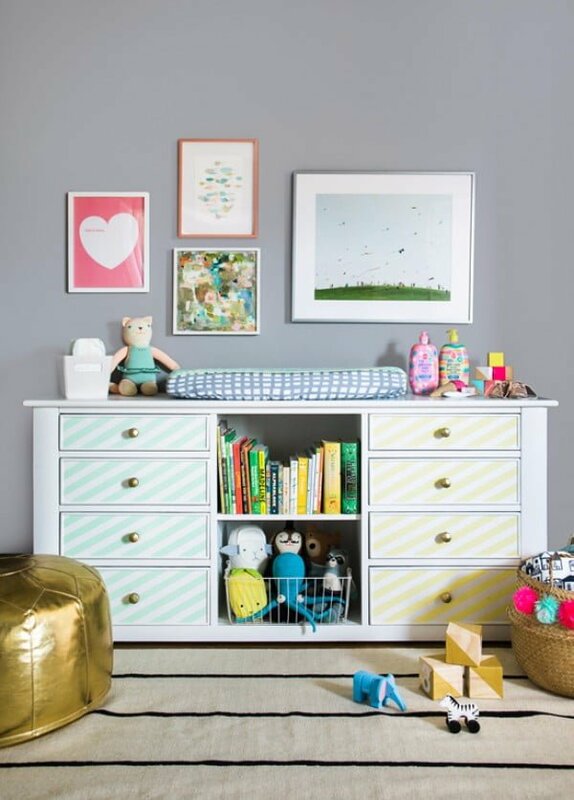 This old pine dresser was painted and transformed into a modern and updated dresser for the kid’s room. See the tutorial to see the complete guidance and instructions. 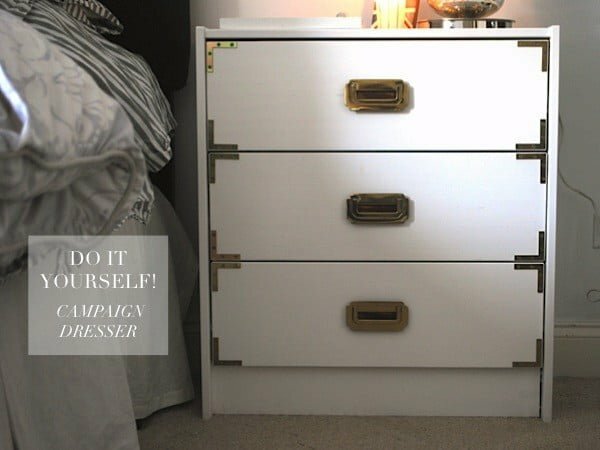 What a beautiful DIY white and copper dresser – revamp your furniture the quick and easy way. See the tutorial to see the complete details. 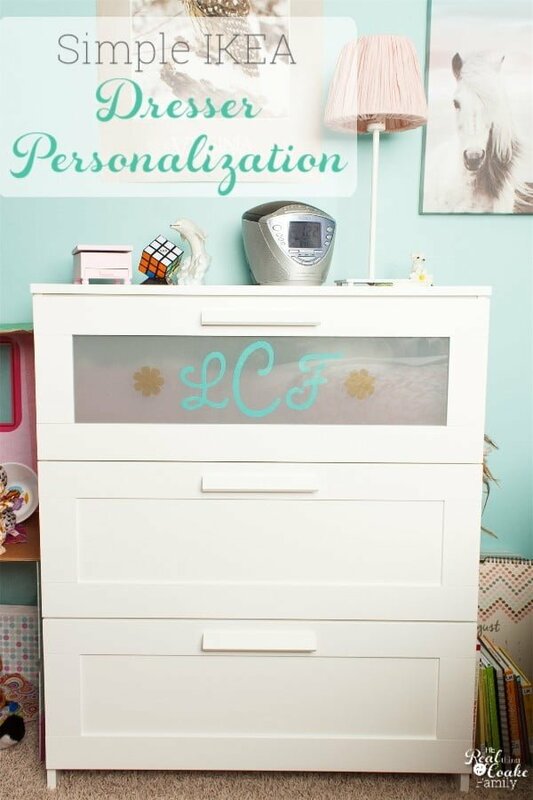 What an excellent DIY dresser personalization idea using an IKEA hack for a budget craft project. See the tutorial to get the complete details. 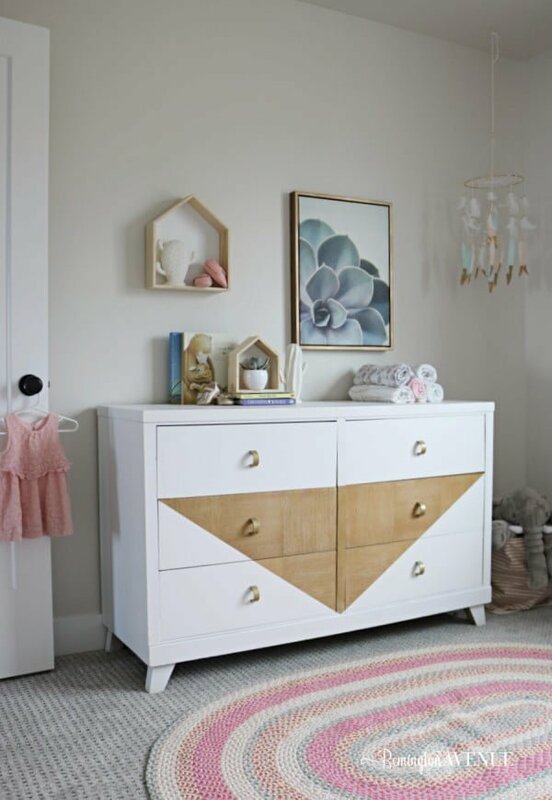 Southerners love a vintage, DIY home project, and this impressive dresser transformation will provide you with plenty of inspiration. Follow the tutorial to see the full plans and instructions. 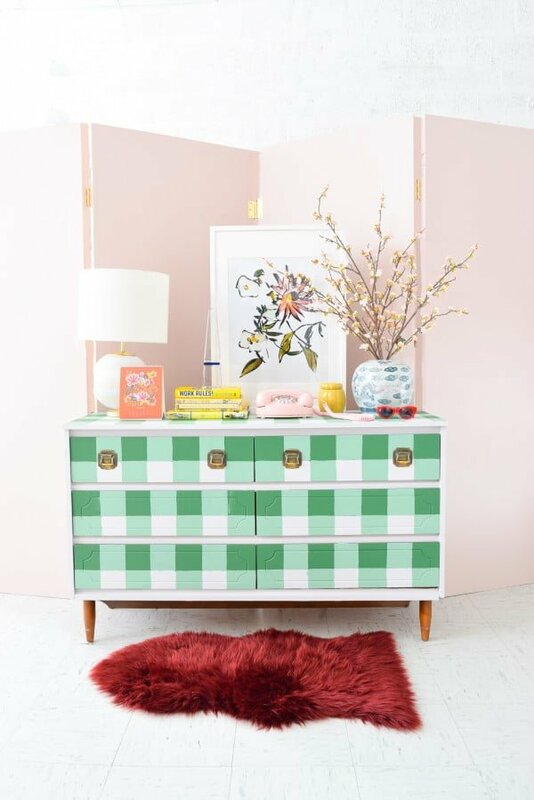 Make this great DIY buffalo check dresser the easy way. Read the link to see the complete guidance and instructions. A step-by-step guide to refurbing your own Mod Podge dresser. See the article to find out how it’s done. 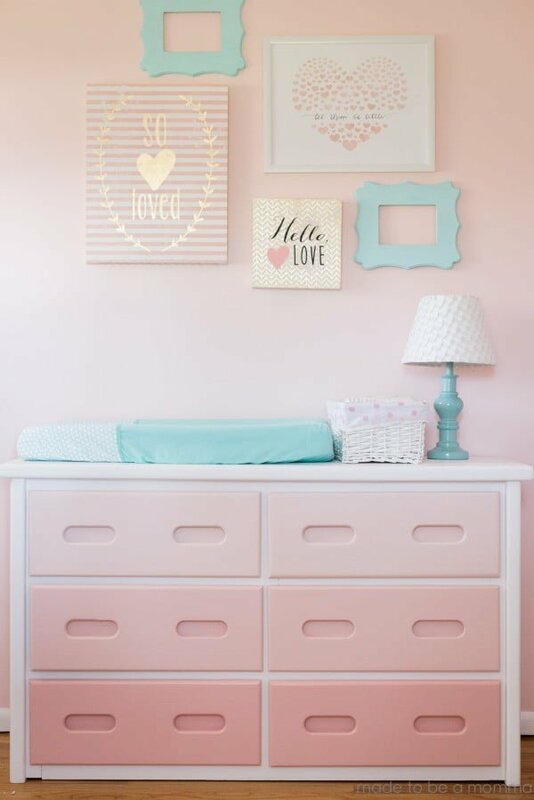 Kristin transformed her daughter’s old banged up dresser into a masterpiece DIY ombre dresser. Now she’s ready to share all the details on how she did it. Follow the article for the entire plans and instructions. 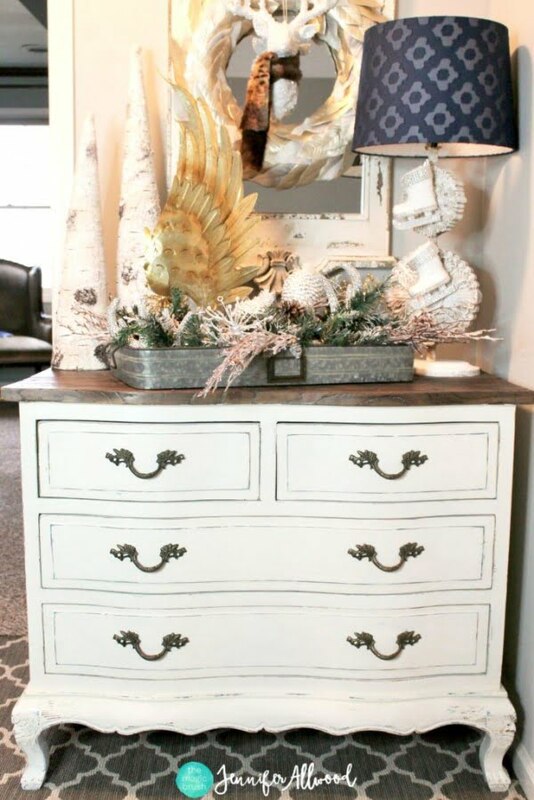 Learn how to use fabric to take furniture from drab to fab in this DIY Dresser Makeover. Follow the tutorial to find out how to do it. 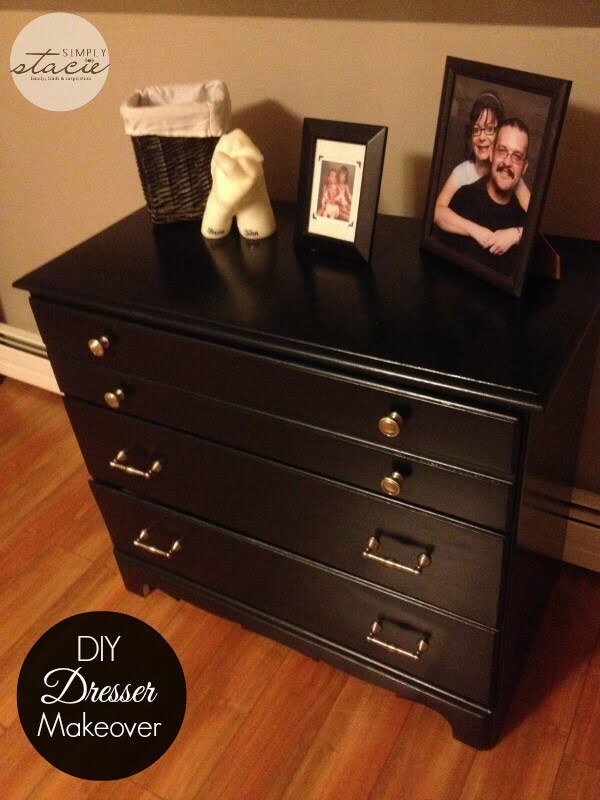 Amazing DIY dresser makeover with paint and hardware that you can replicate the easy way. Read the link to get the full details. Have an old piece of furniture that needs a makeover? 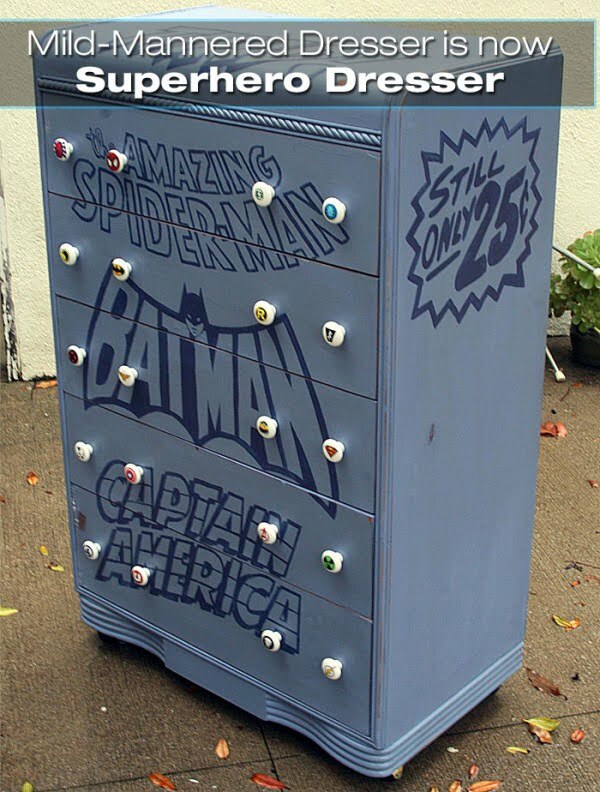 Did you know that you can quickly transform old furniture with some power tools? 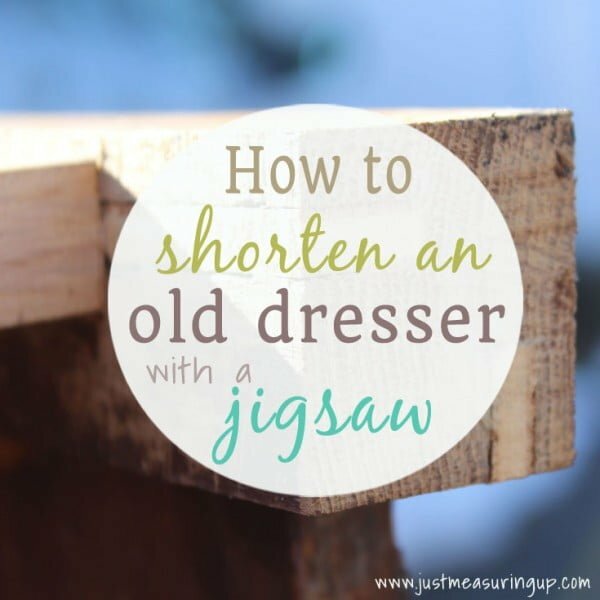 Learn how to shorten a tall dresser with this easy-to-follow DIY tutorial. Check out the link to find out how it’s done. 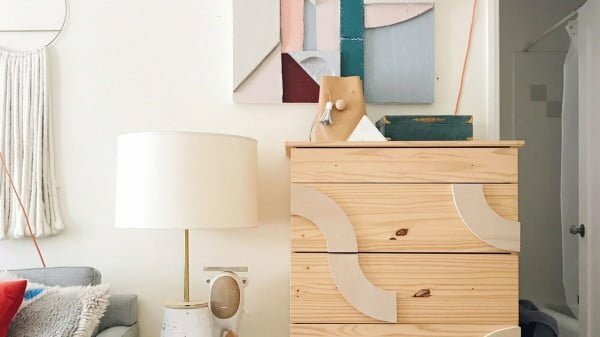 Build this DIY campaign dresser on a budget. See the link to see how it’s done. Reclaiming anything from the dump or a dumpster is always a good feeling. 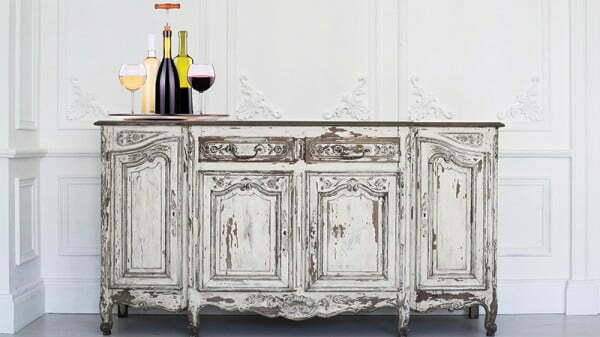 Recycling or repurposing furniture is its reward. Check out the article to get the full plans. 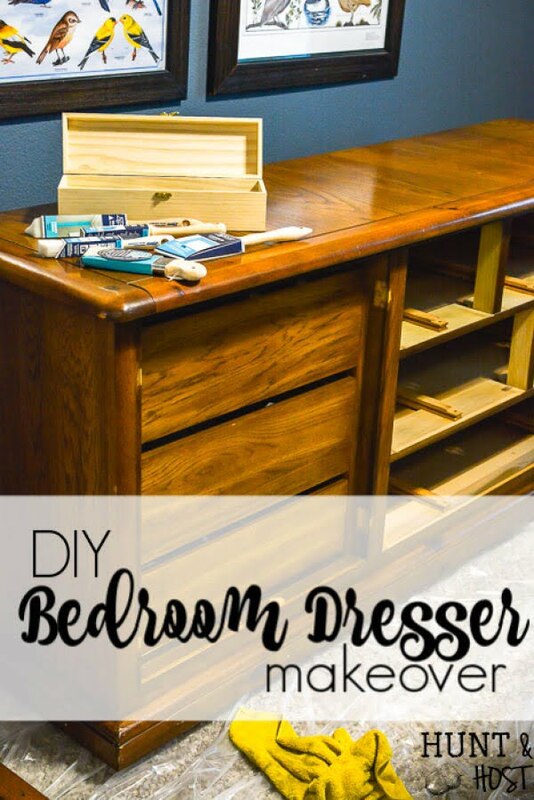 Restyle and upcycle your old dresser with this budget-friendly before-and-after DIY project. 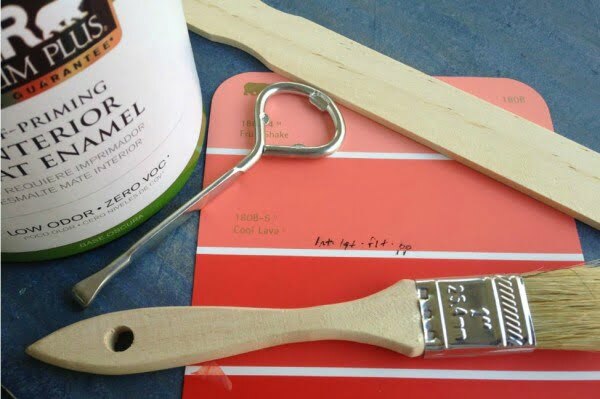 Add legs; leather handles and paint for a brand new look. Read the tutorial to see the full details and instructions. 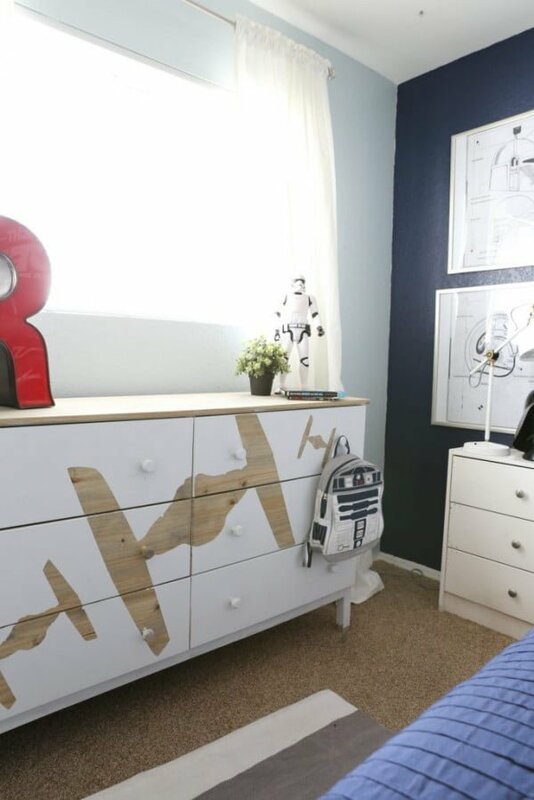 This is a beautiful DIY Star Wars dresser for a simple home project. Check out the tutorial to see the entire plans and instructions. 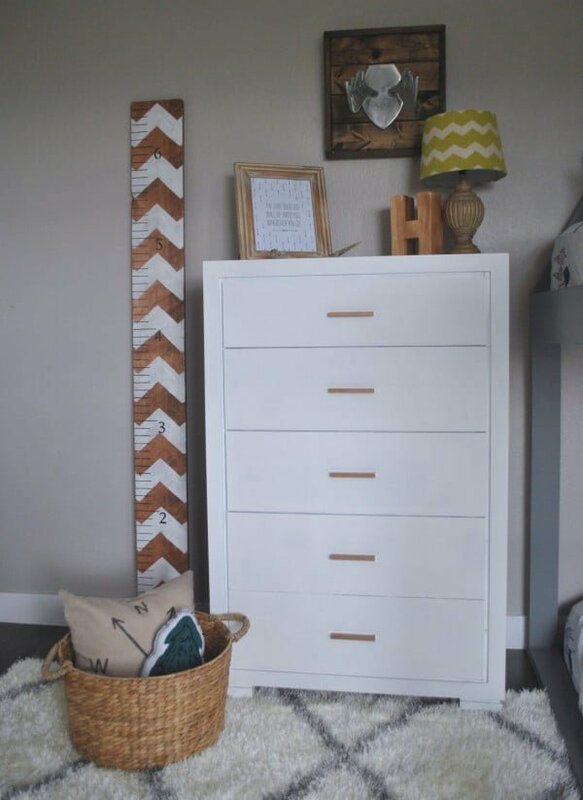 What a wonderful DIY dresser re-do as a budget craft project. See the link to find out how it’s done. Whether you want to achieve a one of a kind look on a budget, or want to re-live an old piece of furniture, this project is for you. 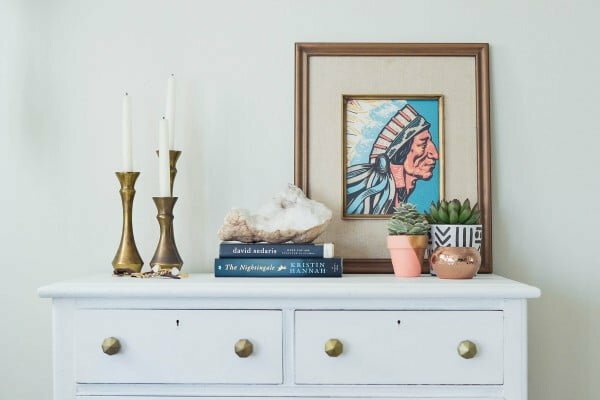 This DIY boho dresser is doable, and I am going to show you exactly how to replicate it. Read the article to see the complete guidance and instructions. 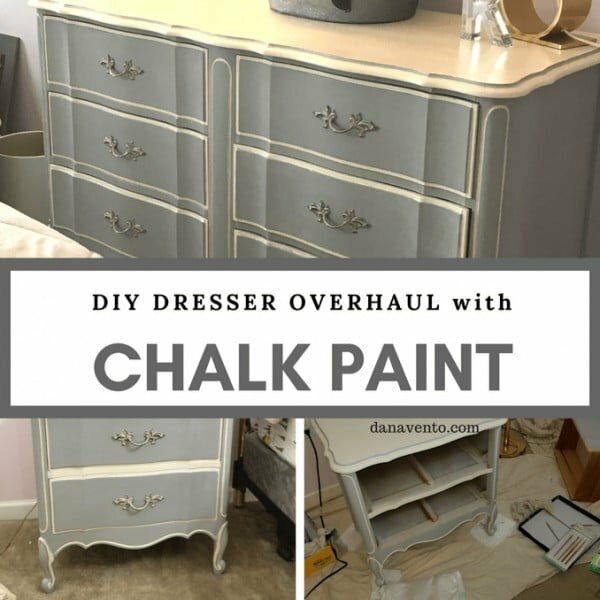 This is a fabulous DIY dresser overhaul with chalk paint the easy way. Read the article to see the full guidance. How to paint a white dresser and get a farmhouse look with distressed painting techniques. How to transform dark, heavy furniture with a fresh coat of paint. Follow the tutorial to find out how it’s done. 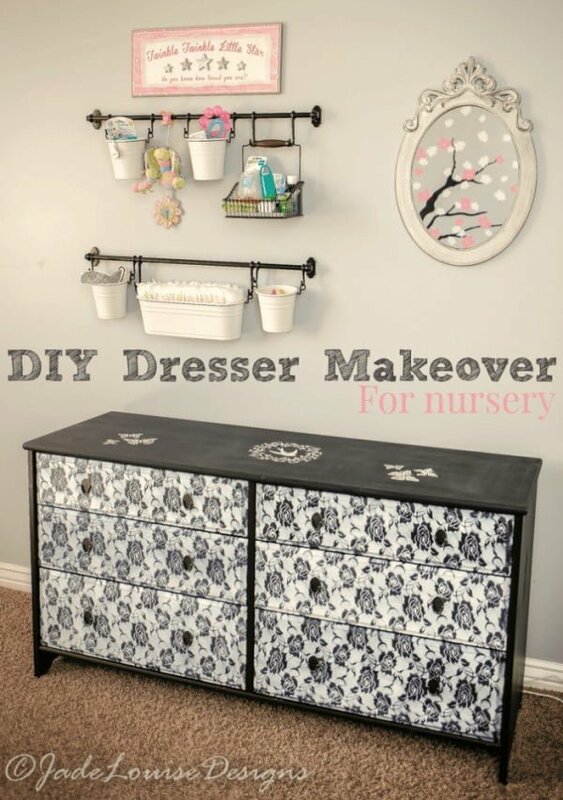 This is a terrific DIY dresser for the nursery and beyond for a budget craft project. See the tutorial for the entire details and instructions. 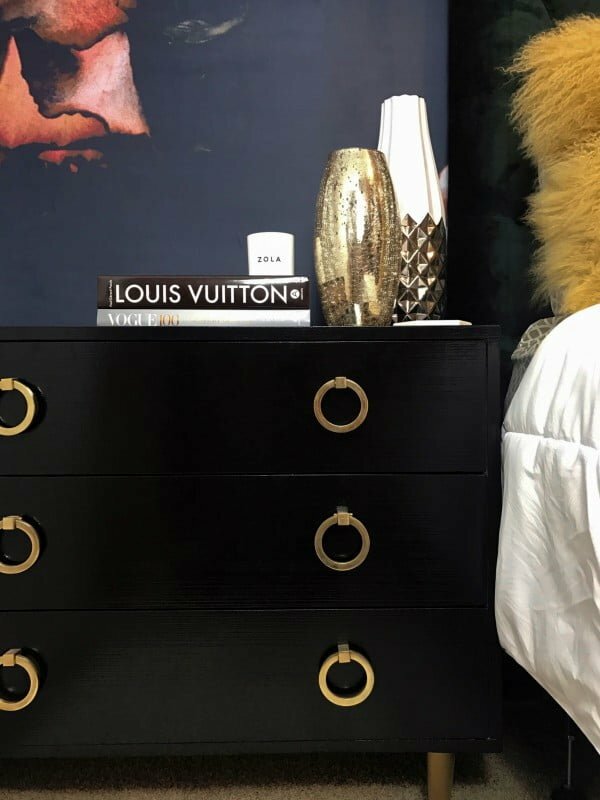 Here are a few tips and ideas for the perfect bedroom dresser makeover. See the article for the entire plans. 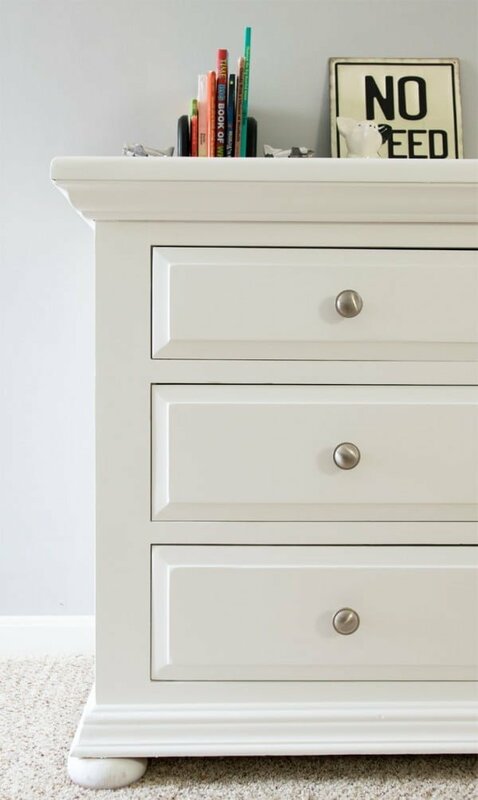 This dresser makeover is an easy DIY project that uses paint and decorative cabinet hardware to make an old chest of drawers look better than new. Read the link to see the full plans. 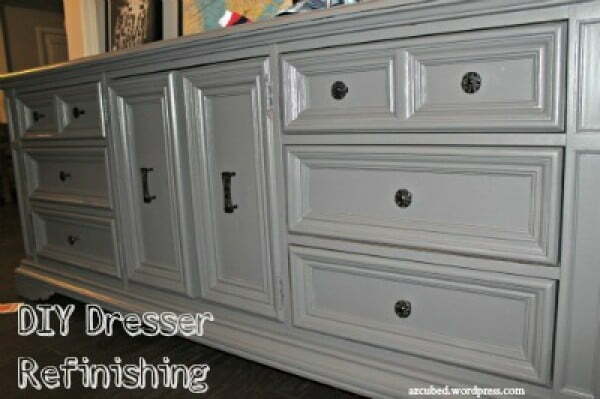 This is a fabulous DIY dresser refinishing on a budget. See the link to see the full details and instructions.